Varsity - 2018 Class 3A State Champs!!!!! We need your help to raise money for the CPVB program during the off-season. Hosting these tournaments prevents players from having to do other fundraising events during the season. Volunteer slots for February tournaments are now available in Dibs - please grab some slots! Set-up and take-down go really quickly (around 30 minutes) as long as we have the people there to help. Please help out when you are not out of town for a tournament. Below find links to the various volunteer roles that will be available after Forms & Fees night. This is only to get players registered on www.rebelsvolleyball.com. You MUST register with CPHS athletic office to try-out for the team. 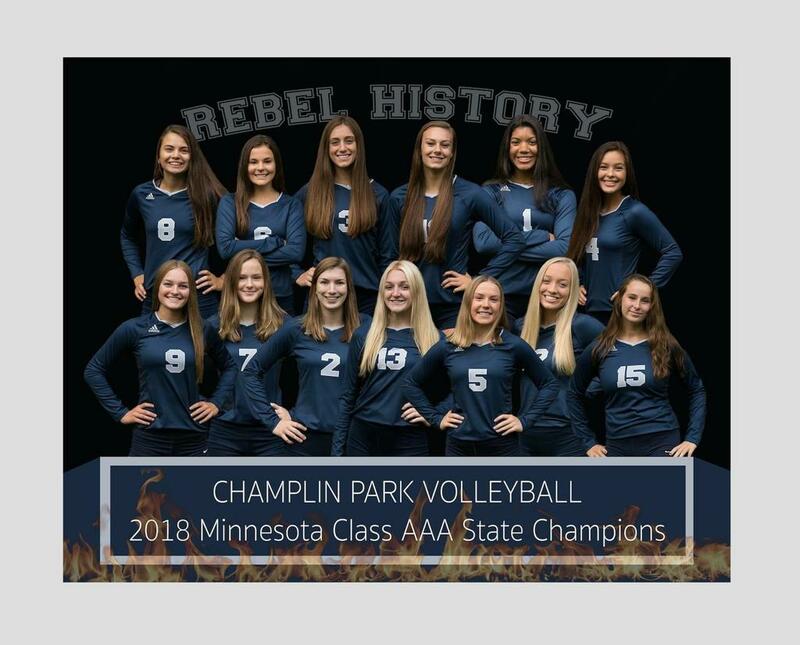 ©2019 Champlin Park Rebels Volleyball / SportsEngine. All Rights Reserved.